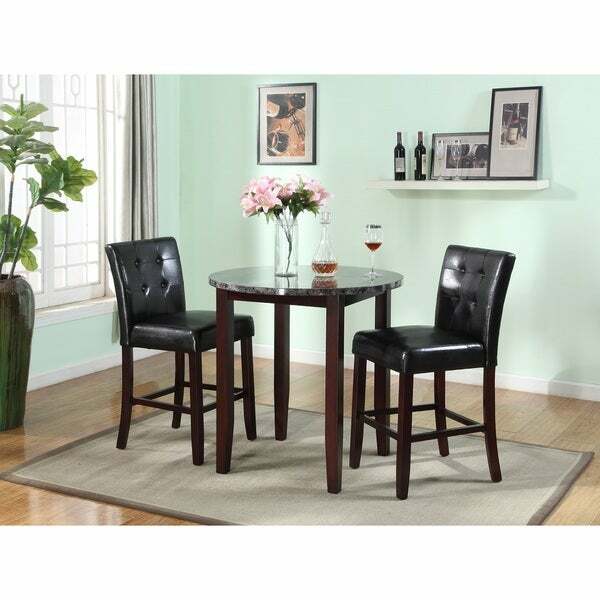 Bring that sleek look to any room with this counter height round table set. It comes with a table with a faux marble top, 2 chairs with button tufted backs, and all come with a dark brown finish, solidifying your style. No matter you decor, this set will take it to the next level. Love this set. Put in my living room/bar area, great space for guests. Chairs are very comfortable and table is very sturdy as well as soooo easy to clean. Easy to put together and stylish. Works great. "the table dimensions contradict each other: is the table 36 or 42 inches high?" This is 36 inches high.